The mission of the Utilities Division is to provide technical support and assistance to the Commission regarding the regulation of utility companies and common carriers operating in the State of Louisiana. 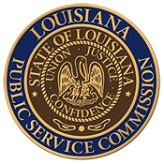 The Utilities Division is charged with the review, analysis and investigation of rates and charges filed before the Commission by electric, gas, water, sewer and telecommunications providers with respect to prudence and adequacy of those rates in order to provide reliable and affordable service to Louisiana customers while allowing the regulated utility to maintain a reasonable and fair rate of return. Additionally, the Utilities Division is to provide technical support and assistance to the Commission staff, the citizens of Louisiana and the jurisdictional utility companies and common carriers with respect to federal, state, local and Commission laws, regulations, policies and guidelines.